The digital camera is one gadget which keeps reaching new milestones before you even have the chance to say ‘cheese’. The latest model of Sony’s highly popular line, the Cyber-shot point-and-shot digital camera, will bring even more smiles to your photos, literally. 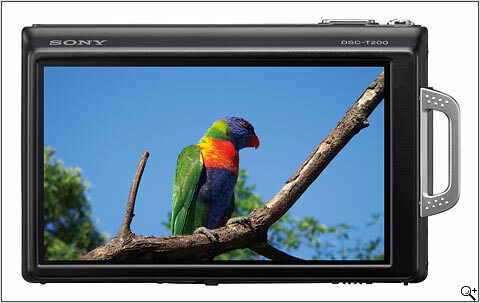 The DSC-T200 has all the standard features of the digital camera such as face recognition, red-eye reduction, and image stabilisation. In addition, the increased image resolution from 7.2 megapixels to 8.1 megapixels greatly improves picture quality. Its Carl Zeiss 5x zoom lens provide more accurate focusing and shooting. The DSC-T200 also boasts 31 MB of internal flash memory as well as a slot for memory Stick Pro Due cards which allows up to 8Gb of storage. It also features a larger 3.5in LCD screen and touch-sensitive functions. Finally, a special Smile Shutter mode recognises when the target subject smiles and takes a shot automatically. You’ll never miss than million-dollar first smile of your newborn. For the memorable and timeless photos you will get, the price tag of US$470 is considered cheap and affordable.